I have lesson at 10am. I am sitting in the classroom but the teacher comes at 10:20 am. It's a marketing lesson. I eat with Marlène and go to the library to plan our trip in Norway. I have European sociology lesson and then Management lesson.We can use our computer so it's easier to understand the lesson because I can use a translator and write my lessons quickier. So I can listen to the lecturer. I buy my wriband called I love Dublin. It costs €20 and I can go to some Erasmus parties freely. 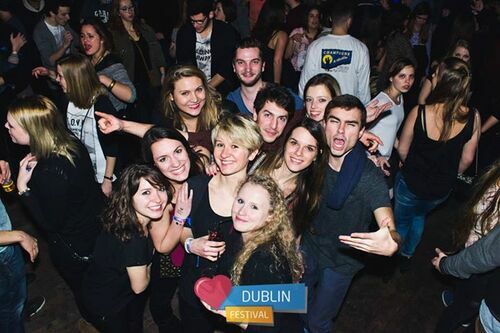 So we do a pre-party with all Erasmus students who study for spring semester like me, and then we meet Erasmus student of full year. We go to the party in the city center together after waiting for 45 minutes that the bus arrive. We go to The Palace, a disco. This place is very nice and huge. The sound is very hight. My ears are hurt. We decide to come back at home at 2:40 am. We take a taxi but the taxi driver doesn't know the way, and doesn't know driving. It's a little bit weird and scared. But finally, I am in my bed. Like every Wednesday, I go to to school in the afternoon. Spanish lesson, then Marketing lesson and at the end IT. I am not tired, so it's okay. I come back at home and I decide to cook. Bon appétit! I have my first photo's lesson, but it is not how I thought at all. It's a studio and the teacher teach us how can we take nice photos. It's very technical. Interesting but we are in a business school so we can't choose this lesson. So, Marlène and I decide to choose another course: sales and marketing. We come to the classroom but nobody comes. We wait for another course at 4pm, but the teacher is absent too. So during all the day, we are waiting for. I book my ticket for a trip: Saturday, with all the international society, we will go to waterford. So nice! I discover a new serie called Scandal, so see you tomorrow because I would like to watch some episods. I have no classroom today, so I stay at home with Veronica. We speak a lot. At 5:30 pm, I go to badminton, but... nobody comes. The training is cancelled. I am so boring, I fed up! Bad day... I hope that tomorrow it will be better. 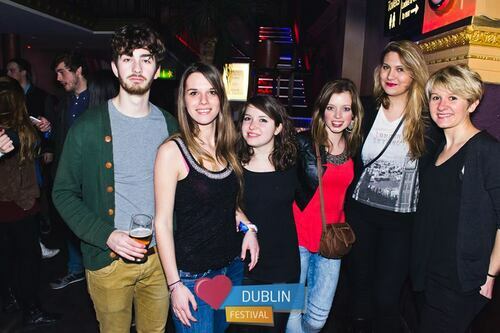 With International society, we go to Waterford. We are about 40 Erasmus. 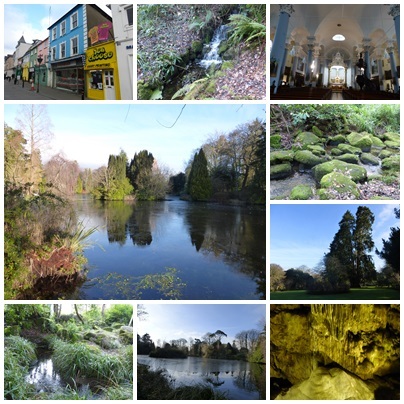 We visit Dunmore cave, Altamont gardens, and waterford. It is planned to visit museums in Waterford but with Marlène, we decide to walk around the town to discover its better. So nice, but I think we do too much bus. When we come back at Tallaght, we decide to eat together at Mc Donalds and go to a bar to drink something. It is very nice because we are a lot, and we can discover and meet new people who study since September. I am tired, I come back at home, but when I arrive, Veronica and John are drinking a bear and they want that I stay with them. We speak a lot, it is very nice and fun ! I like them ! Good atmosphere. 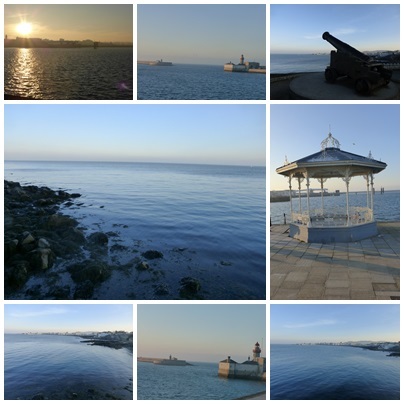 I wake up late, have a shower and go with Anna (Tchec girl) and Petter (Finish guy) at Dun Laoghaire, a harbour. It is sunning, the weather is perfect to take pictures. I speak a lot English, I am happy. Finally, we go to a coffee because it is too cold, sound nice!